The William Blake Archive is pleased to announce the publication of electronic editions of our second installment of Blake’s letters, the correspondence of 1800-1805, which includes his three years with patron William Hayley in the coastal village of Felpham, West Sussex, and the frightening months leading up to his trial for sedition. 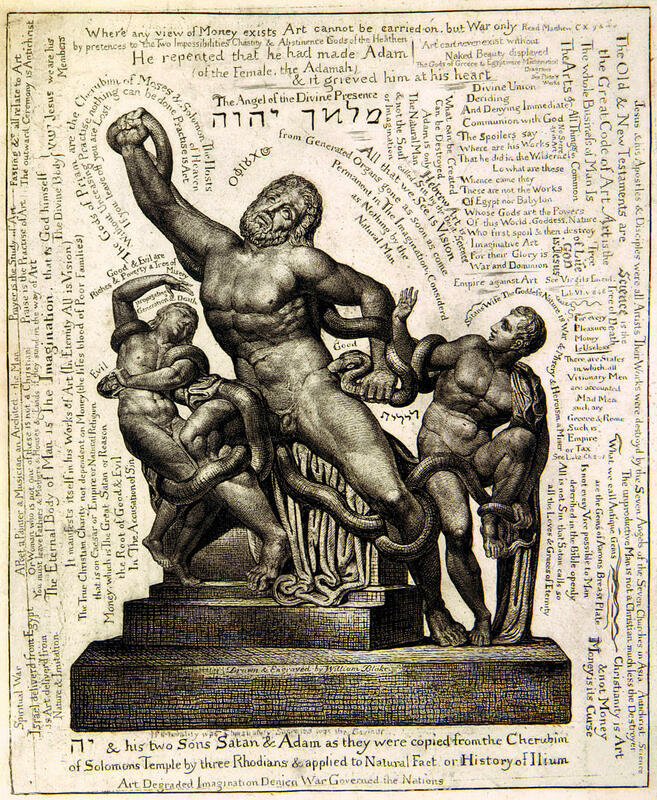 The letters in this group supplement the Archive’s publication in November 2013 of Blake’s illustrations to works by Hayley, including his Essay on Sculpture, the broadside ballad Little Tom the Sailor, The Triumphs of Temper, The Life and Posthumous Writings of William Cowper, and The Life of George Romney, along with the republication of Blake’s etched and engraved illustrations to Designs to a Series of Ballads, Written by William Hayley (1802) and Hayley’s Ballads (1805). Letters from this period track the downward spiral from the most hopeful moments of Blake’s anticipations of working for the beloved “hermit of Eartham” to the bitterness and resentment he ultimately felt for that “pickthank.” The letters also show Blake in the process of conducting routine business: with Hayley but also with his important London patron Thomas Butts and with the publisher-promoter Robert Hartley Cromek, who was destined to become a focus of anger and frustration in the next stage of Blake’s life. About ninety of Blake’s letters survive, an unknown fraction of the total. Several—ten in the present group of thirty-three—are known only from partial and full transcriptions in the second, expanded, edition of Alexander Gilchrist’s Life of William Blake (1880). Blake traveled seldom and not very far. His circle of correspondents was narrow and the geographical circuit small. But his modest body of correspondence comprises an absorbing, revealing miscellany of reports on work in progress alongside friendly and not so friendly exchanges on matters of practical and intellectual substance. Occasionally the letters burst out into visions that amalgamate, in a characteristic Blakean vein, homely details, intensely energized prose, and inspired poetry. The letters are, in any case, indispensable in preserving facts and contexts for his life and work that would be otherwise unknown and in showing him shift pragmatically from role to role in a very natural—and human—way, exposing facets of character and personality not always so apparent in his art. 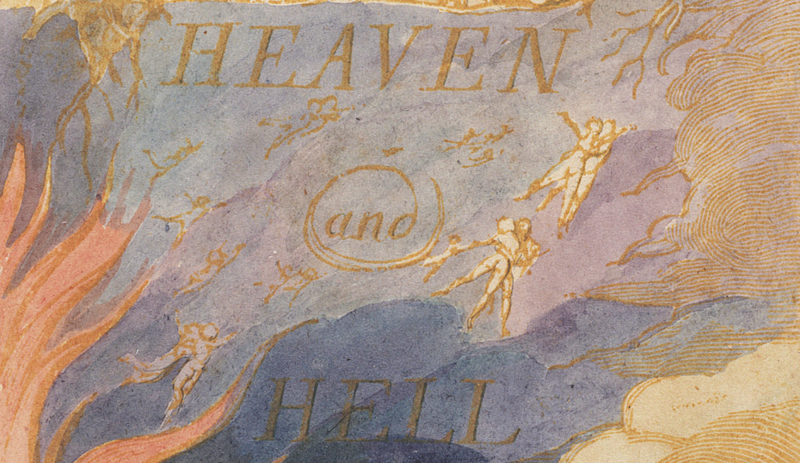 The letters feel closer to the exigencies of everyday life than any other works from Blake’s hand. He seldom puts pen to paper without interesting consequences for readers. Additionally, the Archive has updated the Compare feature to include separate impressions from the same plate and such impressions included in other works, such as A Small Book of Designs. Within the Compare pop-up window, users can now also click on and drag images to reorder them out of the default chronological sequence. This functionality is of course not applicable in the case of the letters, for which there are no separate copies or versions. 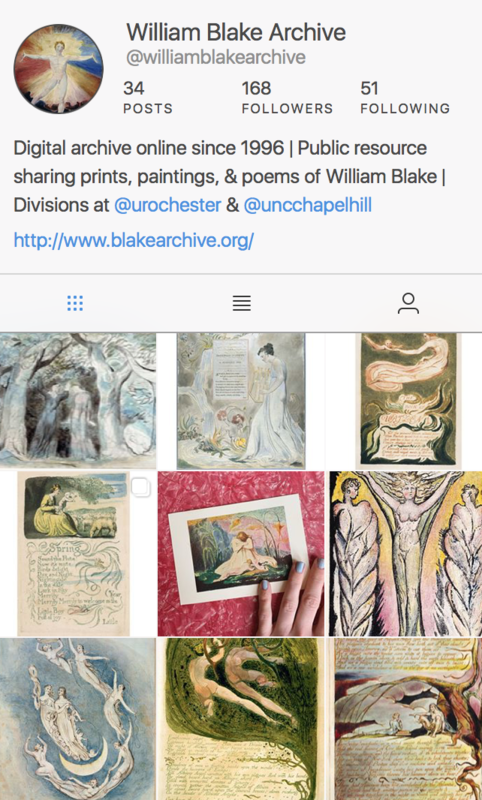 The Archive now contains 136 fully searchable and scalable electronic editions of important manuscripts and series of engravings, color printed drawings, tempera paintings, water color drawings, including 90 copies of Blake’s nineteen illuminated books—all in the context of full bibliographic information about each work, careful diplomatic transcriptions of all texts, detailed descriptions of all images, and extensive bibliographies.